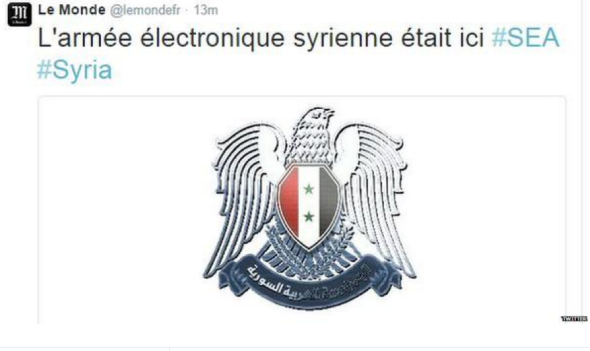 Syrian Electronic Army hacks Le Monde Twitter feed. Not your typical tweet from Le Monde. The Twitter account of French newspaper Le Monde was hacked on Tuesday night by the Syrian Electronic Army. The account was taken over about7 p.m. ET, and, Mashable points out, was quickly suspended. Before the Le Monde account was suspended, the hackers made reference to the recent Charlie Hebdo attack. Several hours later the account was restored.